Just because a watch is in good condition does not mean it's not authentic. There are plenty of authentic Russian watches out there in very good to mint condition. On the other hand a seller may "construct" a watch using the best parts from several watches to arrive at something to sell. I don't know about yours. The second hand is obviously missing, which it should have. The case and dial combination is plausible but I would prefer to see the hour and minute hands taper slightly. Looks entirely legit to me although the lume did not start out "sand" colored. That is a high price for that watch but if you're going to over-pay might as well be on a possible "NOS" example. Ironically, it can be easier to buy authentic and cheap from a seller who doesn't normally sell watches. In this case, I would make a low offer in an effort to get a negotiation going. Looks to me to be a very nice example of the original run of these, made for Timepeace the American company which commercialised these in the USA. However, the price in my opinion is pure speculation - maybe I'm out of date, but I feel that with patience you could pick up one for under US$200. From time to time examples turn up in the US which might have a stronger connection to the conflict. I don't think the original sales by Timepeace were the massive success they anticipated, and I suspect quite a lot were not even delivered to the States. There are a lot of versions of the Desert Shield (and the small version, Desert Storm) which continued in production for at least 10 years in both manual and automatic formats. This example for example dates from 2001, but costs 135 euros: Rare VOSTOK OPERATION DESERT SHIELD WATCH cal.2446 Again, I'd say expensive for what it is. schnurrp and VWatchie like this. 2. Is $450 a reasonable price? It's impossible to say what the "right" price is, but in my opinion $450 is outrageously high. I would look for something well under half that cost. This isn't a rare design -- maybe rare in that condition, but not impossible to find as Neruda points out. VWatchie and cptwalker like this. Are you sure about that? It was one of the things that really got me going! 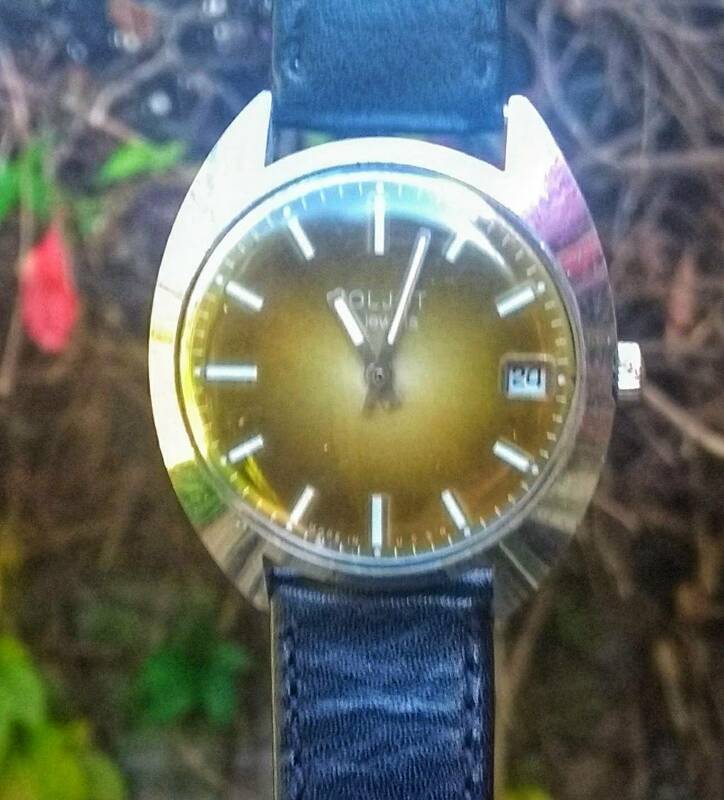 I am aware lume ages and changes in color, but I never saw another Vostok vintage dial having lume looking sand colored like that (which doesn't mean all that much as I'm not having a whole lot of experience). My guess is that it is indeed an intentional design of the dial, or do you deem that as out of question? I can just about guarantee that Vostok only had one lume color being put on amphibians of all types at that time and that was white. What you see there is discoloration due to age and maybe storage in a humid dusty environment. Thanks for the link! Anyway, I think I've looked at every desert storm/shield there currently is on eBay, but it's only the one I linked to that gets me going. The case back, the sand lumed dial dots, sand lumed Amphibia hands, the metal ring around the bezel pip, the "21 jewels" engraving on the oscillating weight, the fact it was manufactured for an American company, the certificate written in English... Anyway, I've made up my mind; I won't be paying $450 for it. Someone eventually will, but my guess is it will not be tomorrow. Here's (as far as I can tell) an identical specimen of the watch on the National Watch & Clock Museum, and here's the specimen on eBay, both having "sand-colored" lume dots and hands, and they aren't the same specimen (different serial numbers). Can it really just be a coincidence? Well, I guess both could have been subjected to the same environment, but I doubt it, and then why don't we see more of this "sand-colored" lume on other vintage Amphibians from the time? What do you think comrades? Any change of mind?